I love the Ballard catalog, they carry wonderful things at great prices. Last year I went nuts at Pottery Barn and Target and bought to many pieces of mercury glass to decorate with and the obsession has not stopped. 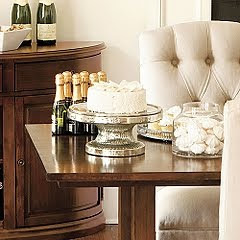 The pedestal cake plate above is available in the Ballard catalog for $39.00. 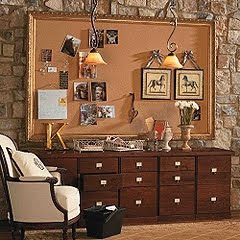 I love it, you can dress it up or down and make it useful for any occasion. I am allergic to bees but drawn to them decoratively. I like there look, the idea of the necessity of a bee, just everything about a bee, it is an insect that truly must and does work as a team. Dorky I know, but the insect that could send me into shock I find decoratively pretty and simple. 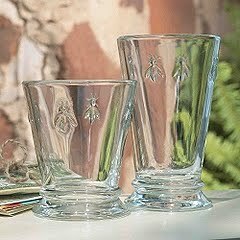 These glasses are again available in the Ballard catalog, they come in sets of 4, one size is $40.00 and the larger size is $45.00. 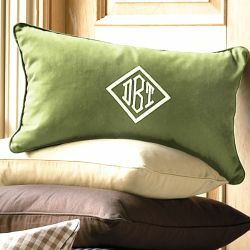 A personalized pillow, LOVE it and it's available in lots of fabric choices. Ballard catalog, but I forgot the amount, I do remember it was not that much and I had to read to make sure it included the pillow form, which it does. It is also available in a square shape. 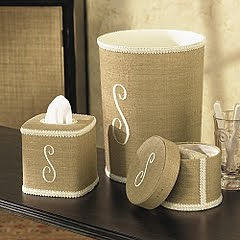 While we are on a personalized kick, Ballard offers a line of Monogrammed linen with brocade trim accessories. They are available in 5 colors: cream, blue, coral. espresso, and green. They are pretty, I am not wild about them but some people are. There is another company in Houston that I adore for wastebaskets but they start at $130.00, so this offers a more affordable alternative. I had drooled over this cork board for a very, very, very long time. Then I finally got it for a birthday present, and WOW is it huge. Lucky for me I had measured everything just perfectly and it fit just like I was hoping it would. It is worth every birthday present or Christmas gift you might have to ask for. Right now Ballard's has them on sale for $399.00 and I think shipping is $75.00 (remember it's big). My Acanthus Message Board from Ballard. It's a little fuller than the one in their picture. 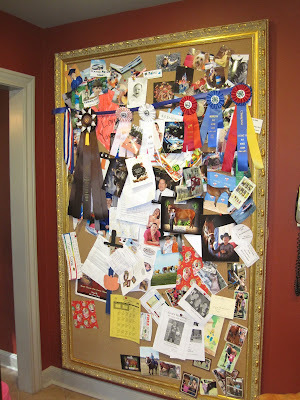 Lots of art from the children and horse pictures and my daughters ribbons from showing her horses and my sons tennis medals and now All-Star pictures and on and on. It does help to give you an idea of how big it really is.